Just over two years ago, Ana White wasn’t quite sure what a blog was. Today, she runs her own rapidly growing destination, drawing nearly three million page views every month. She writes a do-it-yourself carpentry blog. With White’s help, droves of women are discovering they can build beautiful, stylish things. She started with dial-up Internet and does it all from her home in the Alaskan interior (where record-smashing temps recently hit -40° F). White succeeded accidentally. She never expected that simply sharing what she loves could support her entire family. This self-described “homemaker” has an innate knack not only for woodworking but for business as well. Turns out, this blog Cinderella tale is all about sharing your personal story. Oh, and relentless blogging. 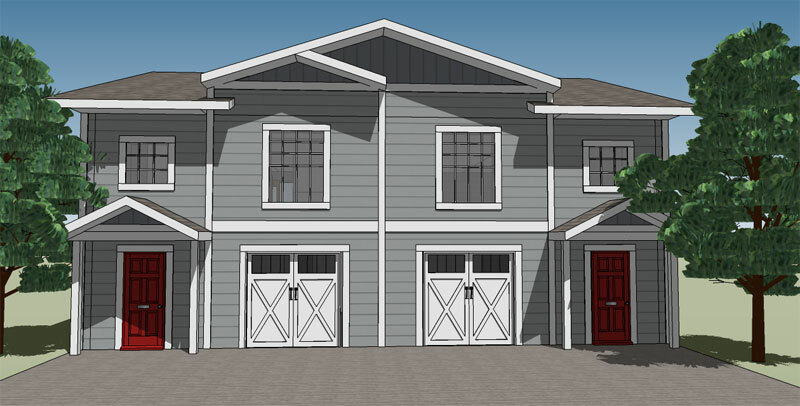 Do-it-yourselfers find hundreds of easy – and free – building plans on White's site. Ana White’s blog draws nearly three million unique page views every month. 90-95% of her Facebook content comes from fans, and she leaves it all public. 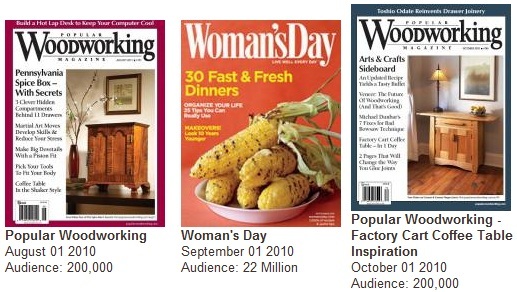 Pinterest is the #1 referring site to her blog, bringing 6000 unique visitors a day. In year two, the blog began bringing in enough advertising revenue to support her family. Delta Junction, Alaska, population around 1000, is about 100 miles southeast of Fairbanks – and more than 2000 miles from the nearest Pottery Barn. 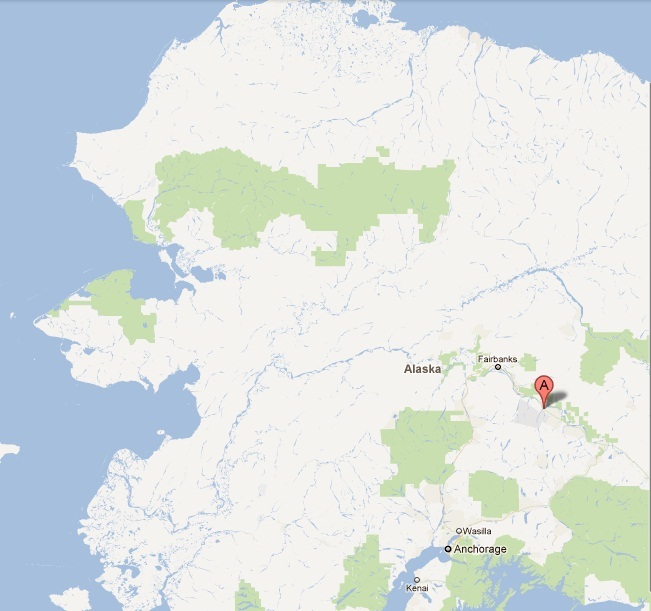 Delta Junction, Alaska, population ~1000. But that’s not a problem for Ana White, who grew up in this Alaskan interior making forts and other projects from salvaged wood and nails. After she and her husband painstakingly hand-built their home, she relied on her handy skills to furnish the place and make extra money selling her furniture. 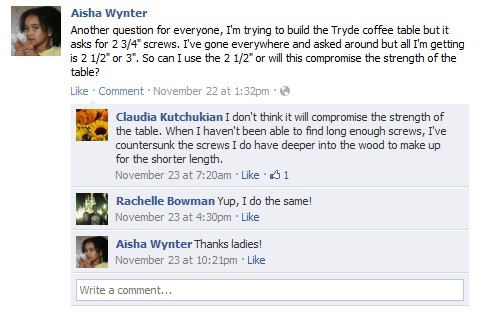 But White really wanted to share her passion for woodworking with others. In October 2009, while reading a friend’s blog, she clicked “Get Your Own Free Blog” on Blogger. 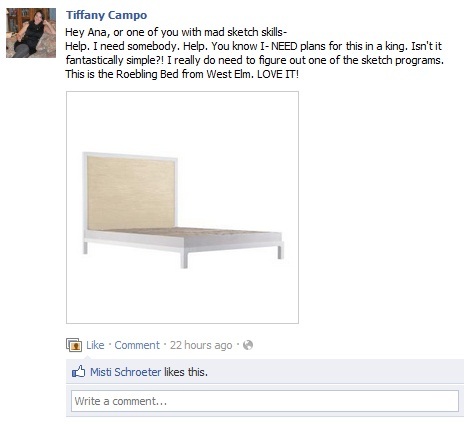 She started by posting her carpentry plans for a farmhouse bed, the same one she made for her own home. 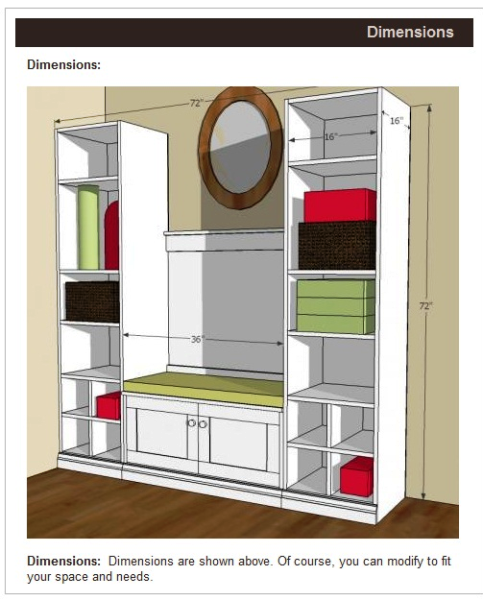 Then, every single day, this stay-at-home mom with an infant in tow blogged more designs for items like dining tables, shelves and storage cabinets, adding up to nearly 400 posts that first year. Without White doing anything else, the blog hit one million page views in just three months, and then reached more than one million page views every month following. She’d struck a chord with an audience eager to furnish their homes at a fraction of retail prices. 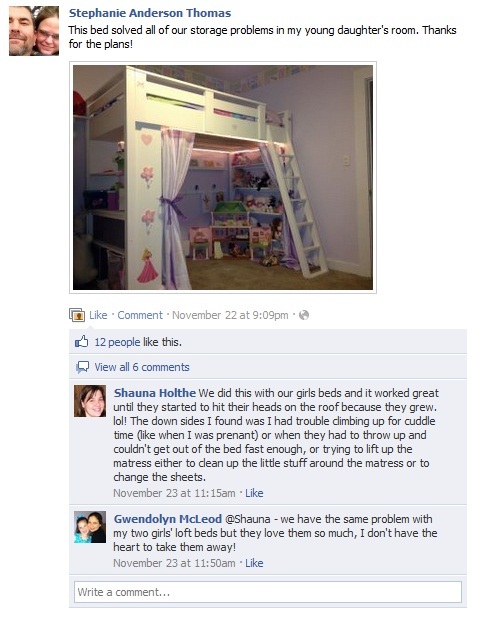 Fortunately, those readers proudly told their friends about their handiwork. What she also has is her story, which she shares on her blog and in many of her posts. Readers – many like her – get to know about her husband, daughter, extended family, home, town and weather. Today, White’s site, “Ana White Homemaker,” has more than 500 plans. Despite suggestions to charge for plans, she’s insistent on keeping them free. All 500-plus designs on White's site are free for readers. But she stresses “free” content doesn’t mean you shouldn’t take the business seriously. From the start, she committed to frequent blogging and continues to post new plans a few times a week. With so many audience photos coming in, she started a brag blog dedicated to featuring fans’ work. White started a second brag blog just for readers to share their work. Blogging alone was enough to grow the site at a nice clip. The addition of a Facebook page increased traffic, but has largely become a community for her fans to share their work and help each other. With a base of more than 50,000 fans, those posting questions know they will get an answer from other fans or White herself. The audience – and even White – learns from those responses. Facebook fans share their handiwork. Fans enthusiastically help each other with tricky building questions. White stresses that she’s specifically chosen to allow fan postings to be publicly viewable, while many other fan sites do not. White admits the first year was tough work, with long days of writing and making designs, photographing projects and blogging relentlessly while caring for her daughter. In year two, the payoff came. The site’s high volume gave White the credentials to secure marquee advertisers like Lowe’s and other retailers appealing to women. Now, the site supports her family, with extra to invest in growing the business. The momentum continued, with her plans appearing in numerous home magazines (without sending a single pitch letter), the chance to contribute designs for HGTV.com and now a book deal from Random House. All press has come to White without a single pitch letter. 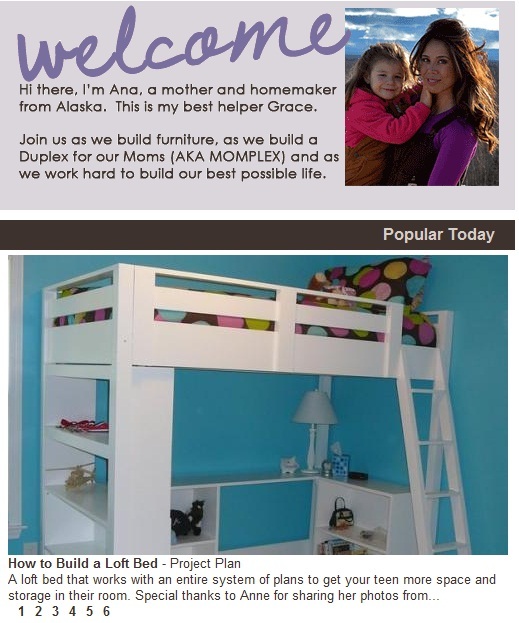 White recently added a whole new dimension to her blog and story with the “Momplex” project. Last summer, she and her husband started building a duplex for both of their mothers and now are letting readers decide much of the home’s design. Sharing progress of the duplex White and her husband are building for her mom and mother-in-law, the "Momplex," adds to White's story and gets readers involved. Readers might not want to check in daily for furniture plans, but they may want to see updates on the Momplex. When White asked readers to weigh in on which kitchen design they preferred, more than 1300 readers indicated their preferences by “liking” one of the Momplex kitchen mockups. 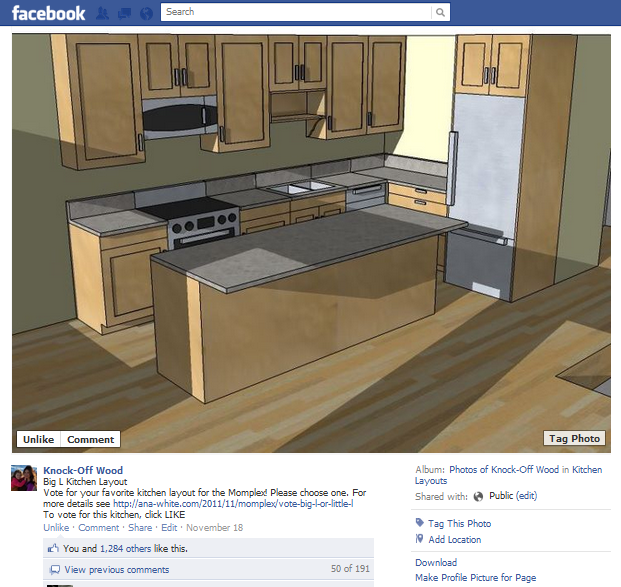 More than 1300 fans voted on the Momplex kitchen design. Now in its third year, White recently discovered an interesting change in her site’s stats. Just three months after showing up as a referring site, Pinterest has taken over as the number-one source of traffic to her blog. 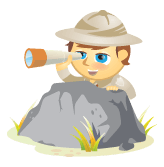 “Google, Facebook and direct traffic – none of those are the top referrers. Six thousand unique visitors a day are now coming from Pinterest. It’s dominating my traffic,” she says. Pinterest lets members “pin” images of their favorite things to virtual pinboards. Their followers see those pins and can choose to “Like” or “Repin” those images to their boards. 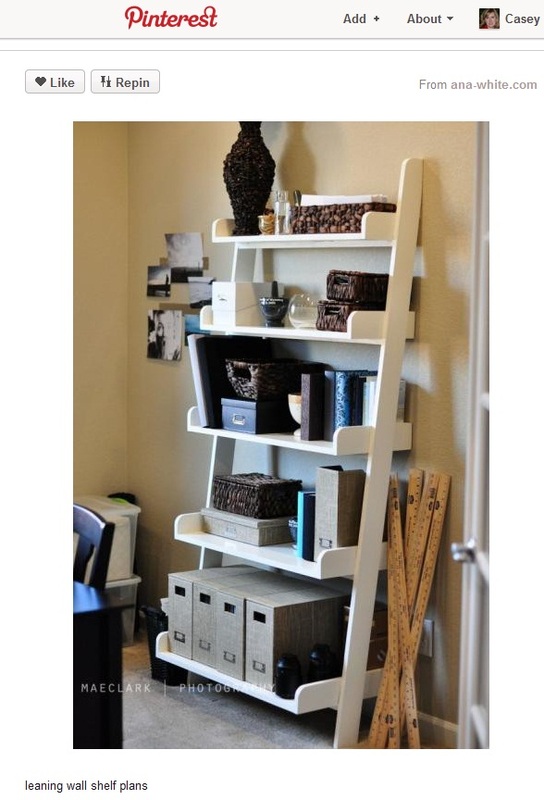 Highly visual, Pinterest works perfectly with the photos on White’s carpentry blog. Fans of White's designs enthusiastically "pin" images on their Pinterest boards. She considers Pinterest a potential “game-changer” in her industry, with extremely viral person-to-person sharing. As a membership-only site, that traffic is also likely of higher quality than from other sources, she says. White encourages "pinning" with a button on every page of her site. While White has her own pinboards on Pinterest, she rarely pins her own content, preferring to let readers share freely and naturally what they like. White’s content model has also changed since she began. 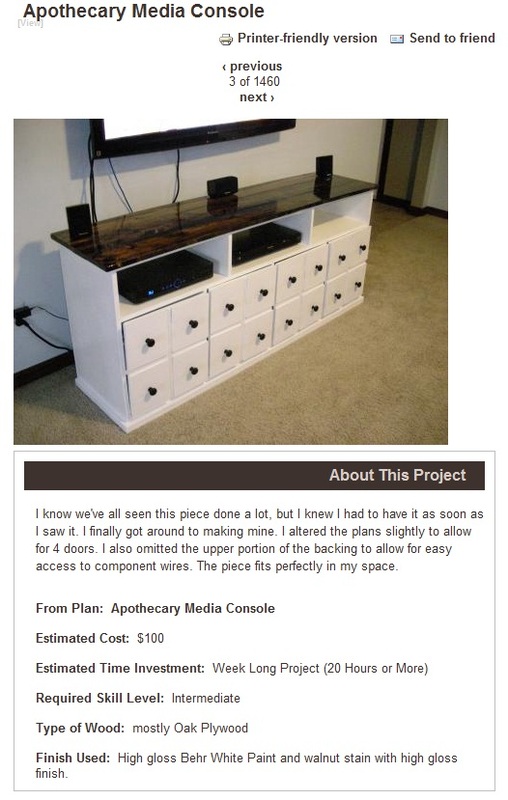 Though initially she blogged all her own ideas, now nearly all new design ideas come from readers. A fan will snap a pic of an antique or something in a catalog and post it to Facebook, asking if White will design plans for it. “I look at myself as a servant to my readers. What do you want me to design a plan for? And then we go from there,” she says. Nearly all of White's new designs now come from reader suggestions. Not content to just sit back and rest on her handcrafted farmhouse bed, White continuously looks ahead to the next thing. Tell your story – Weave in your personal story and keep sharing it. Care about photography – If what you do is visual in some way, try to get great photos and educate fans on taking attractive photos. It matters more than ever with sharing sites like Pinterest. Allow public postings on Facebook – It becomes a community when you allow fans to freely post and help each other. Invest back in the business – What will make the business better – a new camera, a new blog platform or content management system? What do you think? Is what you provide visual? How are you tapping into new social media avenues like Pinterest? Leave your questions and comments in the box below.